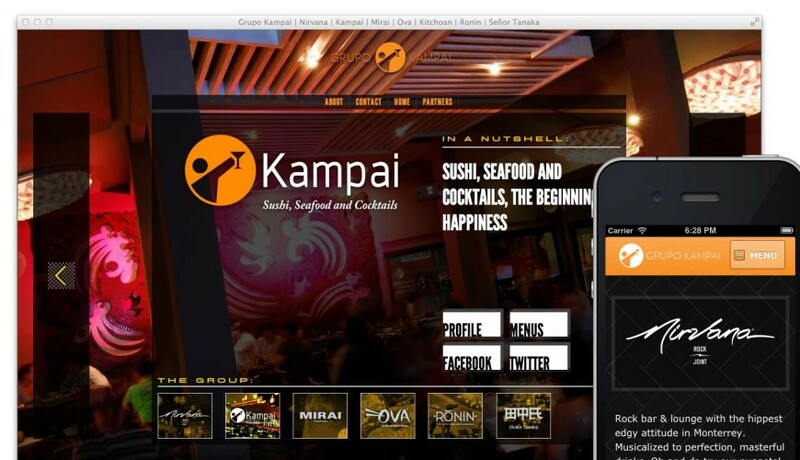 Grupo Kampai is a group Asian restaurants and bars located in Monterrey, Mexico. The cuisines varied between establishment, but were focused on Asian dishes and seafood. Gustavo Estrella acted as the creative director for the project and provided high fidelity designs for the desktop website. Chris Larose built out the front page of the website and integrated the carousel into the WordPress theme, leveraging Backbone.js to smartly load images and content for a better user experience. The client also requested a mobile optimized version of the site specifically for iPhones. We took inspiration from the desktop designs to build a mobile experience for iPhone users.